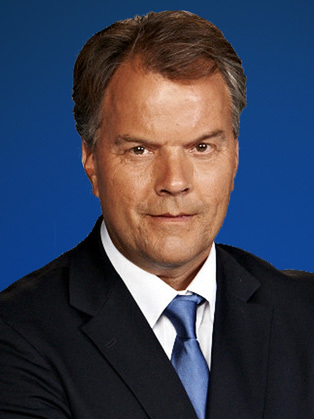 Matt Frei is a presenter at Channel 4 News and the current Europe Editor. Matt Frei is part of the wider presenting team across Channel 4's news and current affairs portfolio, including the award-winning ‘Dispatches’ programme. From September 2016, Matt also started presenting the 10 o’clock show every Saturday on LBC Radio, discussing issues with callers and using his wealth of experience and in-depth knowledge of politics on both sides of the Atlantic to share his own opinions on worldwide matters of interest. Following joining Channel 4 in 2011 but prior to his current role, Matt was Washington Correspondent for two years and led the coverage of the Americas on everything from business and culture to US foreign policy and its view of the world. In October 2012, Matt headed Channel 4's coverage of the US Presidential election, including making a documentary "The American Road Trip: Obama's story" in which he visited middle-class voters in the mid-west communities. In January 2016, Matt reported on his own documentary investigating the world of Donald Trump and those that surround him, ‘The Mad World of Donald Trump’, for Channel 4 and also made a series of five one hour documentaries on the rise of Donald Trump and what it says about America. He also did a long interview with the tycoon, turned President, for Channel 4 in 2013. Before joining Channel 4, Matt anchored the BBC World News America bulletin and was also Washington Correspondent. He presented a weekly radio show called ‘Americana’, and, in two decades at the corporation, reported from Bonn, Rome, Bosnia, Kosovo, North Africa, Hong Kong and Singapore. In fact, during Matt’s reporting career, he has covered four US presidential elections on the ground in Washington as well as interviewing four US presidents, and reported from more than forty countries. Matt has written two books ‘Italy: The Unfinished Revolution’ (1995) which provides an insight Italian history, politics and culture particularly from the 1990s and ‘Only in America’ (2008) which is a sometimes funny, sometimes serious, but always observant, look at Americans and where they fit in to global politics. Matt also won a BAFTA for ‘Best News Coverage’ in 2016 for his coverage for the Paris Attacks. In addition, he has received the Peabody Award 2010, the DuPont Award (Haiti Earthquake) 2011 and the Bayeux-Calvados Award in 2000 for war reporting.